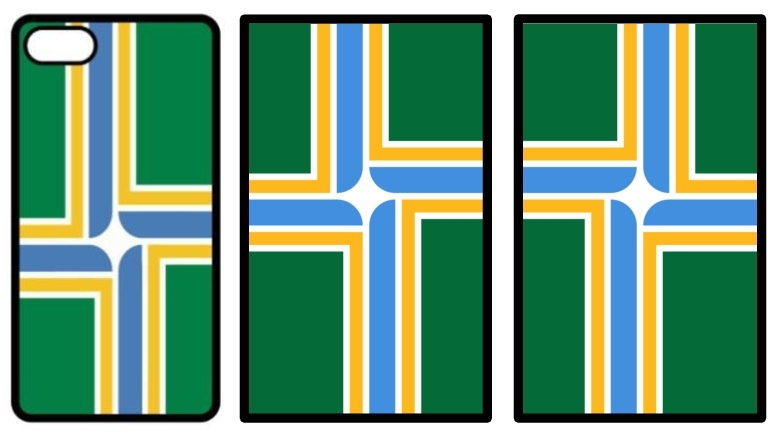 Items about the Portland city flag. … and here’s the Cascadia design. Thanks to Keryn Anchel for spotting these! Our smartphones can now sport the Portland city flag. Cases like that on the left are available on Zazzle, Etsy, and Amazon. But as this illustration shows, when the phone is held upright, the flag is actually shown upside (hoist side) down. 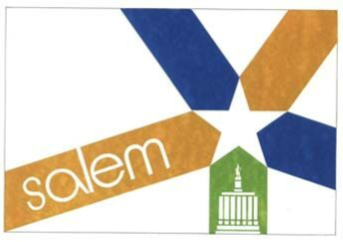 The two designs on the right would remedy this: the middle design is just the front of the flag rotated (the way you would hang most flags vertically), the rightmost design is the back of the flag rotated (hung the way the US flag is supposed to be when displayed vertically, with the “canton” in the upper left). 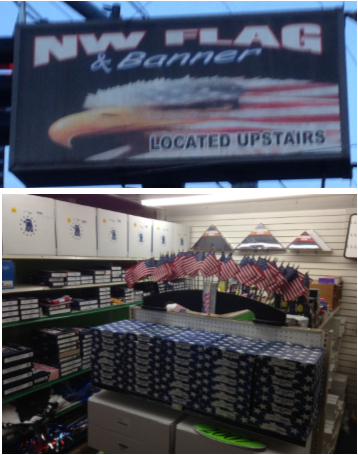 NW Flag & Banner, at NE 57th Ave and Sandy, occupies a small loft space above Northwest Auto Accessories, a retailer of a broad range of items for cars and trucks. An Annin dealer, it has a very small inventory and focuses on auto dealers (which were, ironically, the initial clientele of Elmer’s Flag & Banner over 50 years ago). It also sells flag poles. 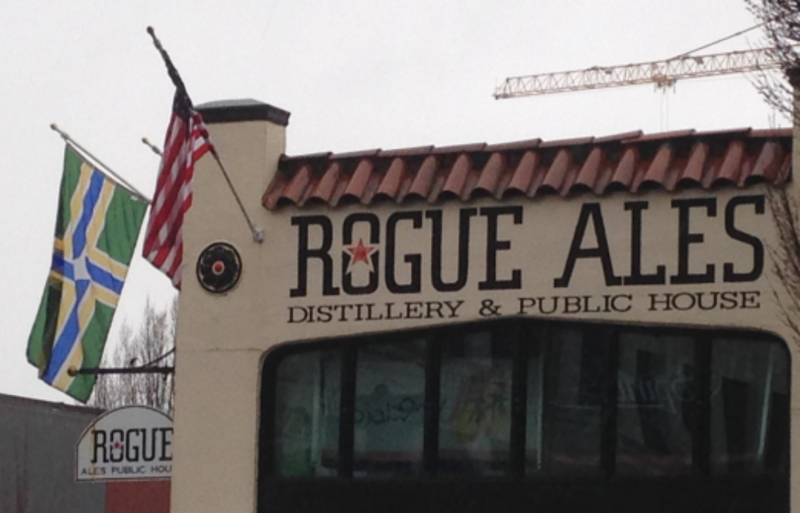 The Rogue Distillery and Public House, in the Pearl District at NW 14th and Flanders, flies a plethora of flags—mostly sports-related—as well as the Portland flag (upside-down). 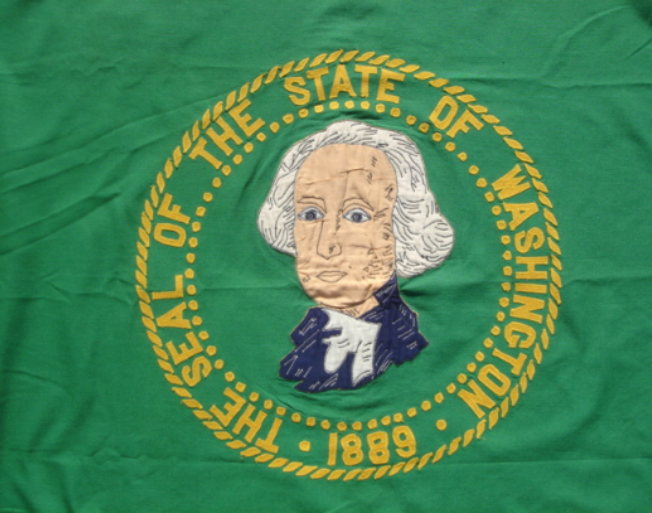 George faces left (towards the hoist) on the front of a home-made Washington State flag. Image from Chris Bedwell. 1) Which way is George facing on the U.S. one-dollar bill? 2) Gilbert Stuart’s unfinished 1796 painting of George Washington is currently portrayed on the one-dollar bill. Which way is George facing in the painting? 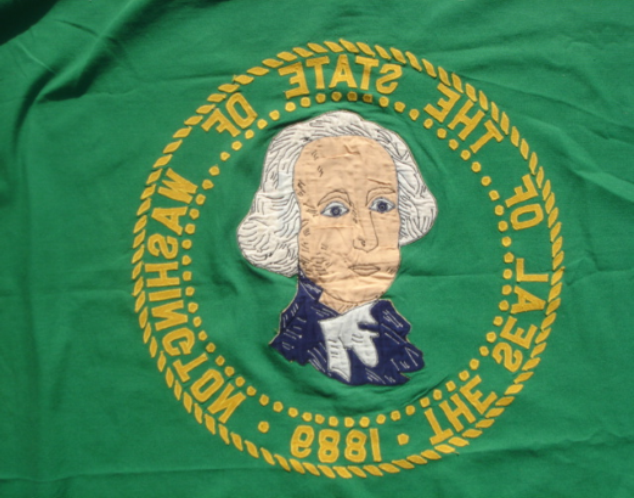 3) Which way is George facing on the U.S. quarter (25-cent piece)? Note: “Roundup” — of flag related items sent to the editor — is a regular feature in The Vexilloid Tabloid. 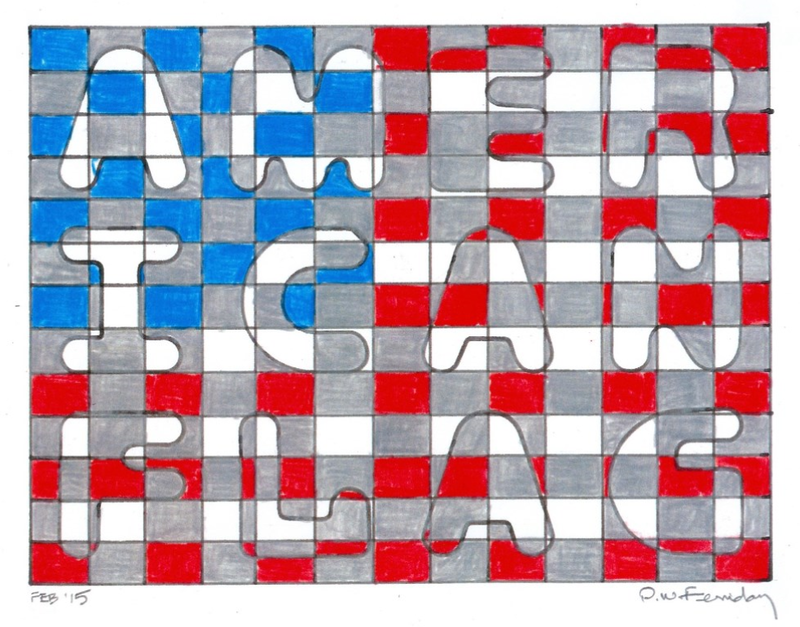 Architect and artist David Ferriday continues to create his interesting graphic art incorporating hidden messages with a flag theme. Here is one of his latest works. 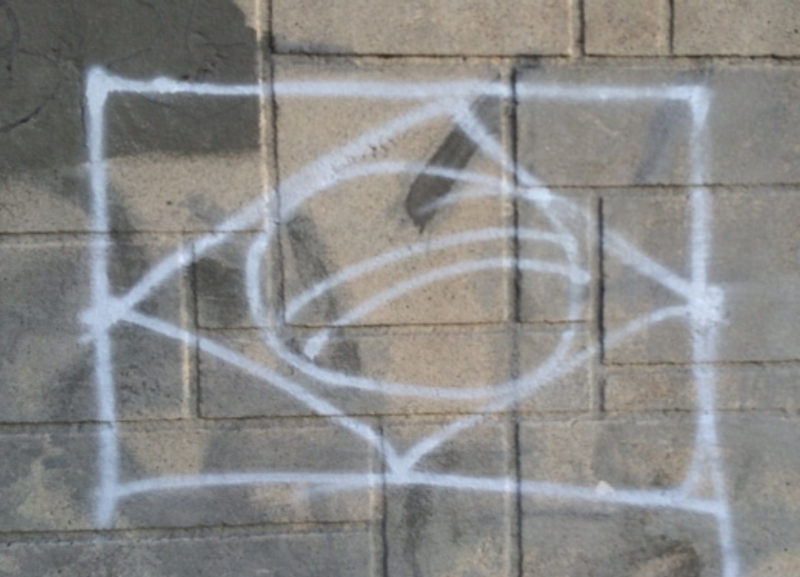 Mason Kaye spotted this ultra-reductionist version of the flag of Brazil in street graffiti in LA’s Koreatown neighborhood. Michael Orelove’s niece, Eden Orelove, lives in Washington, D.C., and recently came to Seattle for a visit. 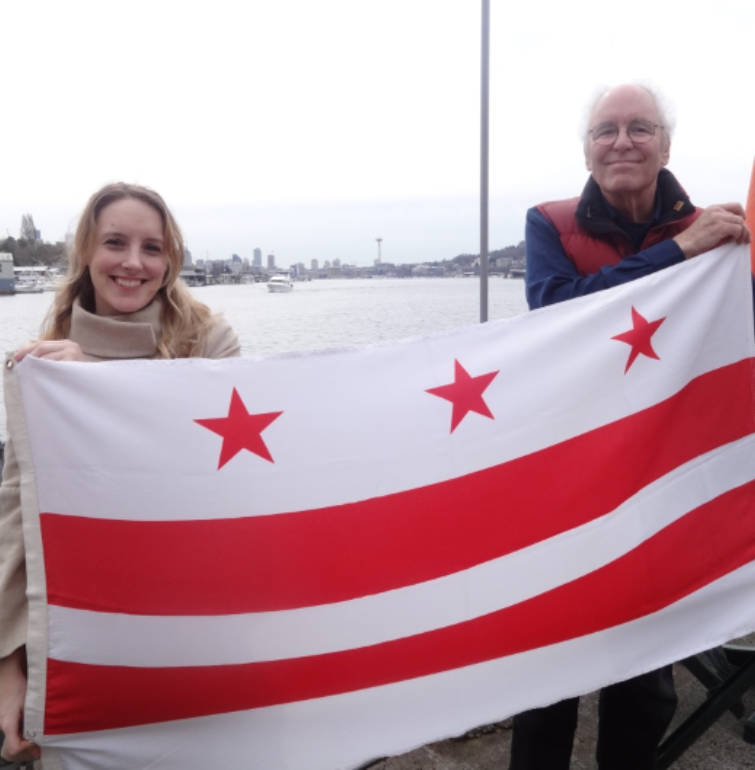 They posed for a photo holding the D.C. flag with the Space Needle in the distance. This put the Washington, D.C., flag in Seattle, Washington—continuing an enthusiasm Michael appears to have for flags in our neighbor state to the north. … has found an echo in a logo for an organization across the Pacific Ocean (on a sign, if not a flag). Do readers know of any more examples of such stripes-from-stars? 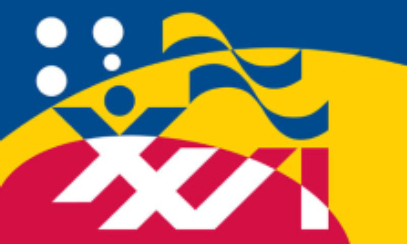 Finally, coming up this year are two major vexillological events. PFA members will attend both! 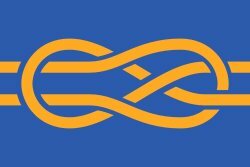 The 26th International Congress of Vexillology (ICV 26) will take place in Sydney, Australia, 31 August–4 September. 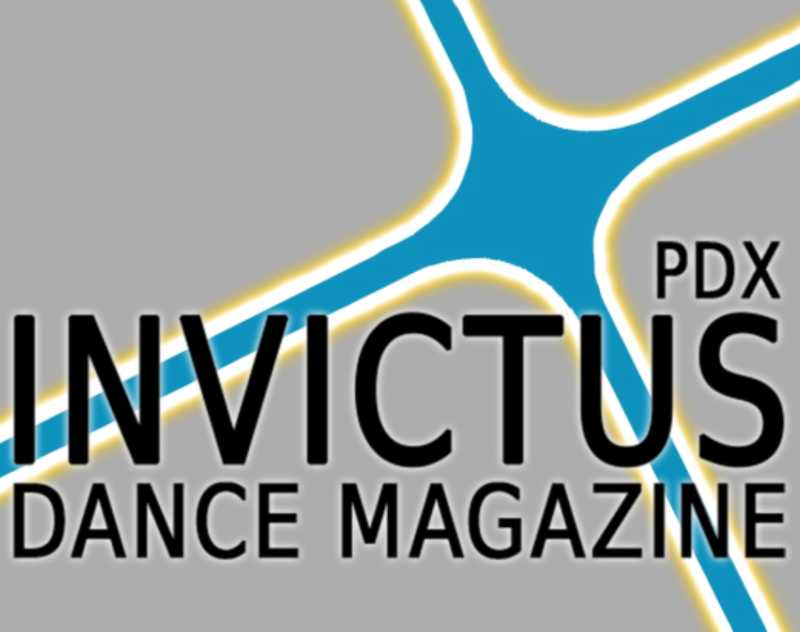 See: icv26.com.au. 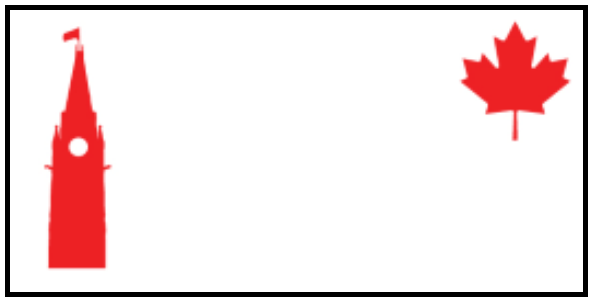 Note: “Flutterings” — notes from the editor on our last meeting — is a regular feature in The Vexilloid Tabloid. In our May meeting, hosted by John Schilke, 18 PFA members and guests enjoyed a lively 3-hour evening of flags and other wide-ranging topics. As the host, John led the introductions and moderated the discussion. Scott Mainwaring gave an update on the Oregon Flag Registry, especially thanking Elmer’s for sharing information on hundreds of flags. He commended Michael Orelove on the complete entry for the city of Gresham. He introduced a challenge of “people on state flags”, and shared David Dunnico’s A White Flag on the Moon. Ken Dale reflected on the bicentennial of the end of the War of 1812 and on its causes. David Anchel described how the equality flag (yellow equals sign on blue) was designed in Portland and how Elmer’s makes it in-house. David Anchel leads an intriguing discussion of the high design quality of the flags of Caribbean states and the possible reasons for their success. Dennis Stevens is pleased that his changed work schedule will allow him to attend our meetings. 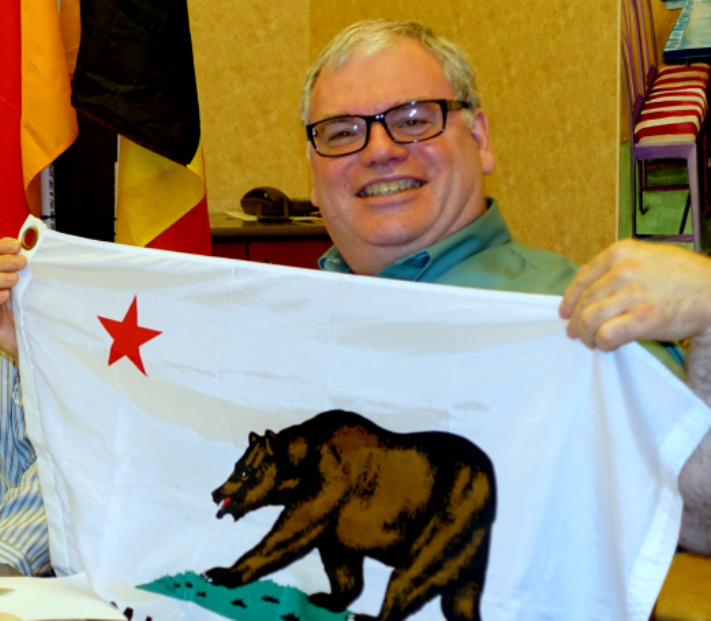 Dennis Stevens celebrates his native California with a gift from Patrick Genna. David Ferriday shared some of his recent flag-related acquisitions, including a beer stein, shot glass, and key ring. He shared images of the Scandinavian flags at the Nordic Cultural Center on Oleson Road and some images from design books. 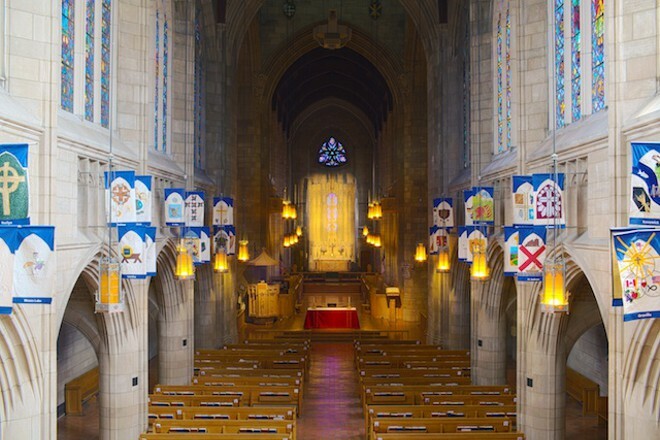 Larry Snyder showed an image of Spokane, Washington’s Cathedral of St. John, its interior festooned with the banners of every church in the diocese. 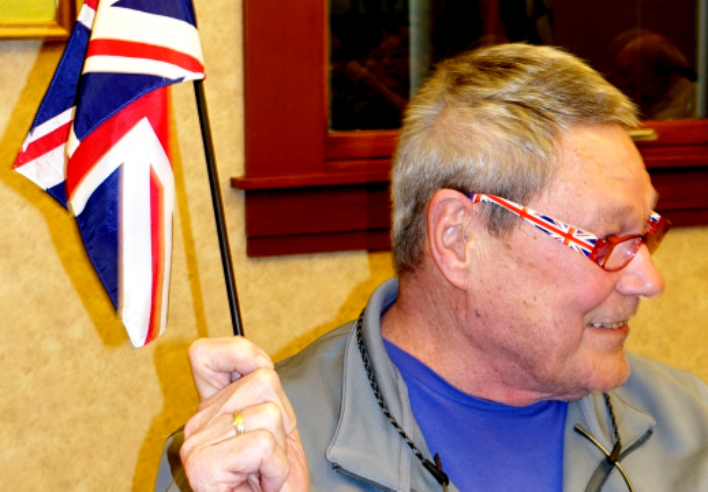 Larry Snyder shows off his Union Jack reading glasses. David Koski asked: “How long does an outdoor flag usually last?”. He got full answers from David Anchel (6 months to a year) and Mike Hale (who went on to explain his invention of “feather flags”). They reported a rule of thumb common to flag dealers but new to us: replace a U.S. flag when the stripes are shorter than the canton. 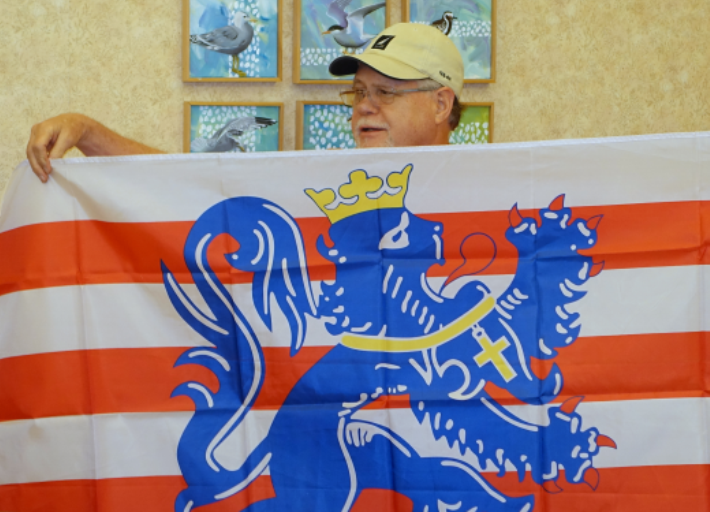 Mike Hale played “name that flag” with a souvenir bought during his May 2014 visit to Bruges, Belgium. Mike Hale enjoyed the broad flag-flying he’d seen in Bruges. In response to his letters soliciting flags for educational purposes, Michael Orelove continues to receive them from nations, cities, and government agencies. The latest include Senegal; Springfield, Illinois; and the Office of the Comptroller of the Currency (which warned him to use the flag only for non-profit purposes!). 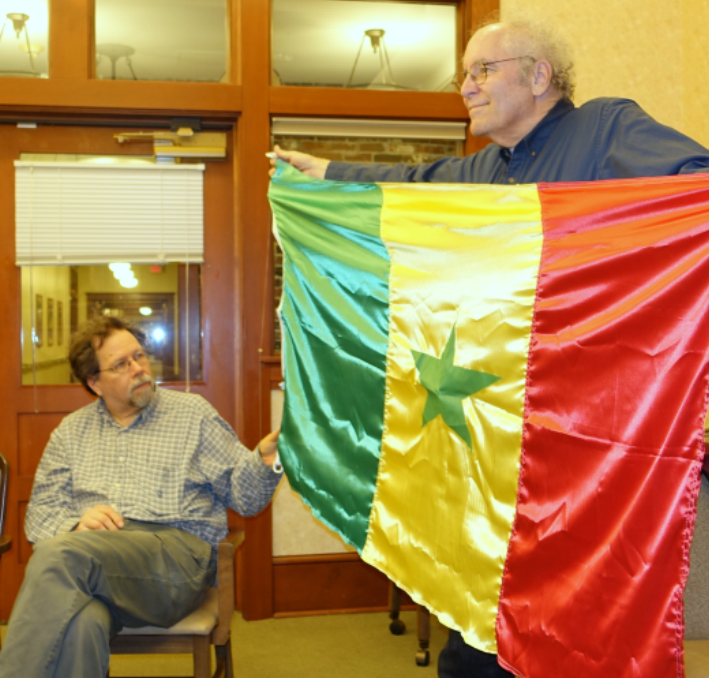 David Koski admires the Senegalese flag displayed by Michael Orelove. Max Liberman took careful notes; Jessie Spillers enjoyed the flags. Patrick Genna reveled in giving out over a dozen flags of all sizes he’d gleaned at Goodwill. 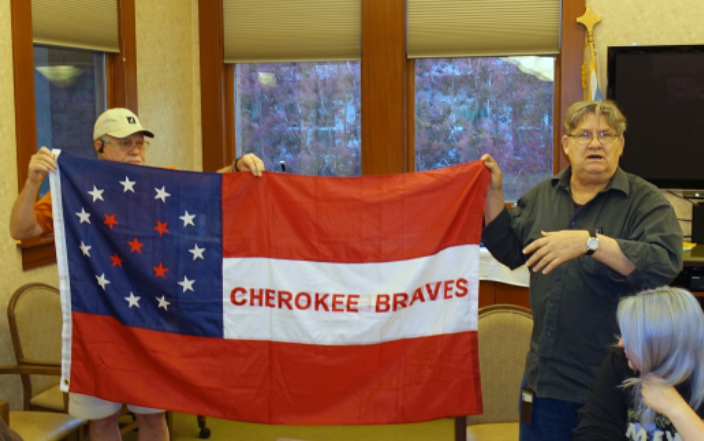 One inscribed “Cherokee Braves” at first seemed to him the flag of a sports team; he then learned of the Confederate troops raised from native tribes. At first Patrick Genna thought this flag might represent a sports team! Visitor Casey Sims brought his Portland Ska Flag (see VT #51) and described the process of its creation by a bandmate as well as his own interest in flags. Casey Sims shares the Portland-Jamaica fusion flag used by his band, the Original Middleage Ska Enjoy Club. 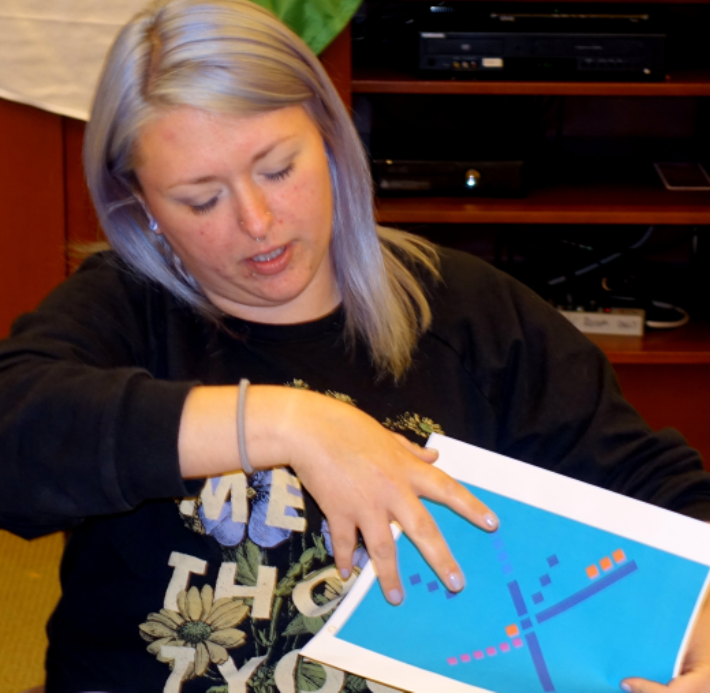 Keryn Anchel may commemorate the now-famous carpet from the Portland International Airport with a flag using its motif. Karen Anchel wants to produce a flag based on the (old) PDX carpet. With Fiji’s new flag effort under way, Ted Kaye disclosed that in two days he would travel there to serve as technical advisor to the national flag committee. 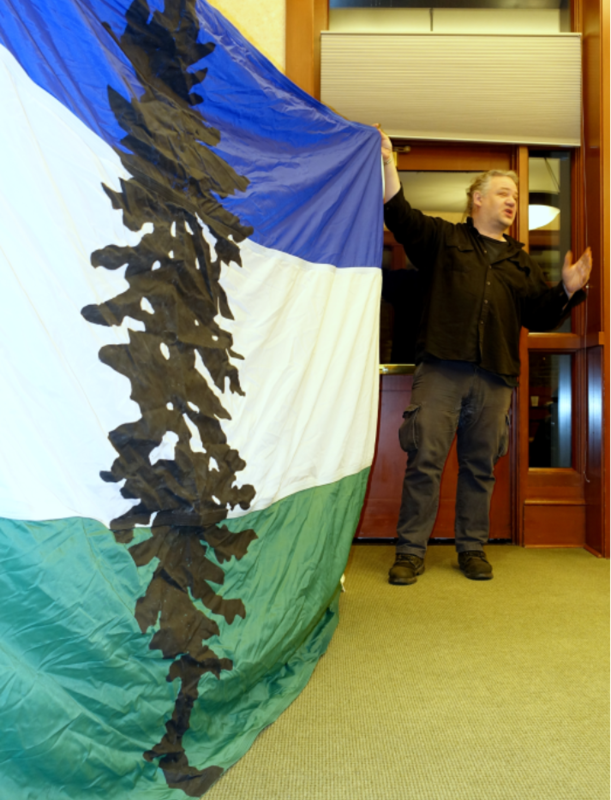 Our special guest, Alexander Baretich, described how he’d designed the Cascadia flag in 1995 (see VT #36). Robert Izatt, his student, helped him display a huge version. He discussed his decision to put the design into “creative commons” for all to share. Alexander Baretich, designer of the Cascadia flag, describes its origin. Our next meeting will be at the home of Ted Kaye on July 9th. He took the Portland Flag Association flag with him—the customary task of the next host. In February, Fiji’s recently-elected prime minister announced that the country would change the flag to remove the colonial symbols it had borne since its adoption at independence in 1970. 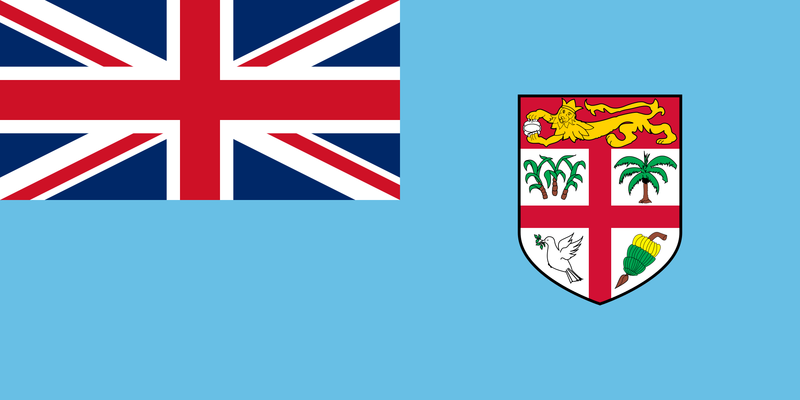 Aiming to raise a new flag on independence day, 10 October 2015, he set an ambitious schedule: A flag-design contest to run until 1 May, open to the people of Fiji. A narrowing-down to finalist designs by a committee of 13, representing a broad cross-section of modern Fiji, by the end of May. A sharing of prospective designs for comment by the Fijian people (using a website, the press, and other means) in June. A parliamentary motion and adoption of a final design in July. Production and distribution of the new flag in quantity before October. The government of Fiji asked me to serve as the technical advisor to the national flag committee. On a week’s notice, at the end of May I flew to Suva, the capital, for a three-day marathon session with enthusiastic committee members. 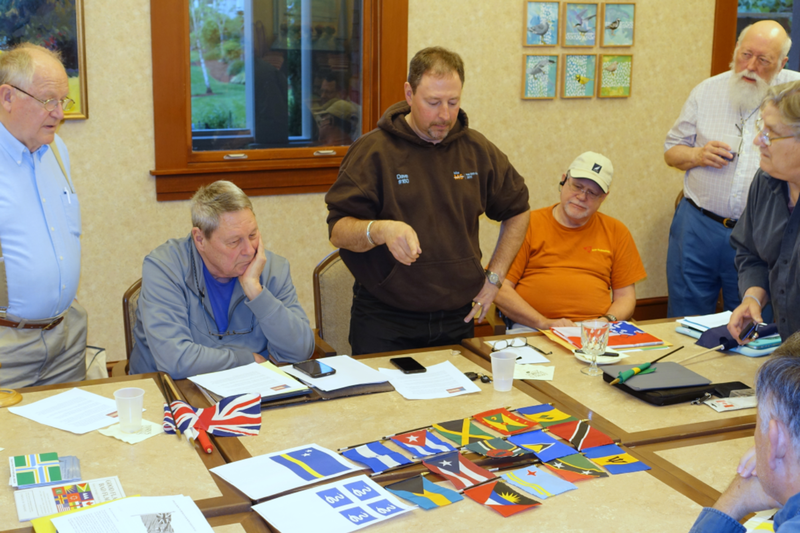 The first order of business was to share the basic principles of flag design…easily done, as the committee members understood them intuitively. We also reviewed the flags of Fiji’s neighbors in the Pacific, and those national flags the committee members most admired. Over 2,000 distinct designs had been submitted—some people sent in several (plus 7,000 images of the current flag, submitted by those opposed to a change). The flag committee reviewed every one and narrowed them down to 167 on the first day. During the second day, they reduced the field to 47, and then to 20. All would be successful national flag designs, and all featured “Fiji Blue”. The national press covered our work intensively (see fijisun.com.fj and search on “flag” or “Kaye”). Now the work shifts to the people of Fiji, who will respond to the field of prospective flags. The committee will review the responses and eventually a design will be moved in Parliament. Watch for developments in coming months. And as always you’ll find Flags in the News (news stories featuring flags), Flutterings (highlights from the last PFA meeting), and Portland Flag Miscellany (news about Portland’s city flag). 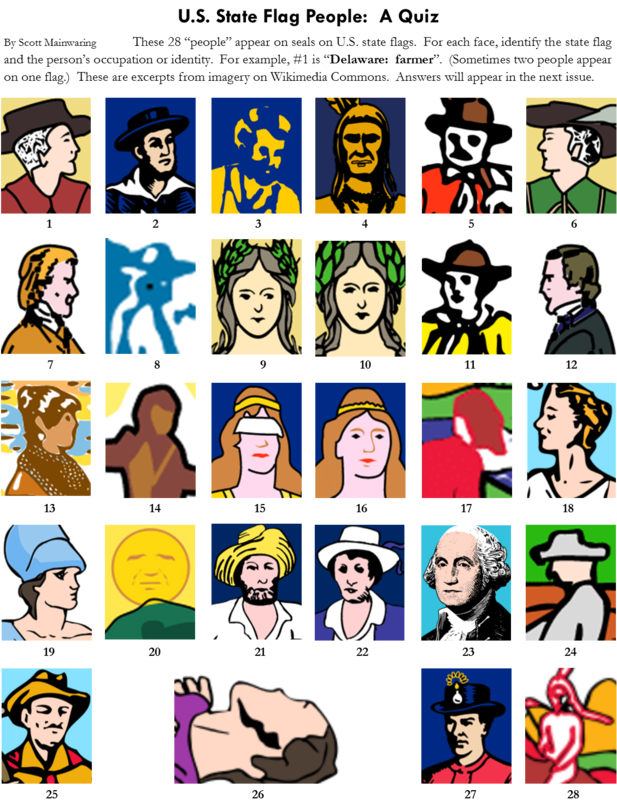 Instead of a What’s that Flag quiz, this issue features the US State Flag people puzzle.